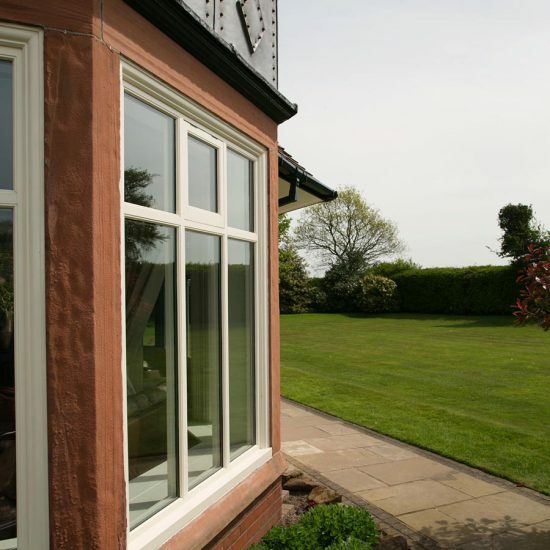 This Stunning Cheshire mansion had suffered from previous poor quality home improvements, having had most of its original windows, and architectural detail removed, during a previous window installation, whilst also being very tired in external decoration. The windows were poor in quality, draughty, unsecure, and lacked the detail that you would expect in a property of such stature. 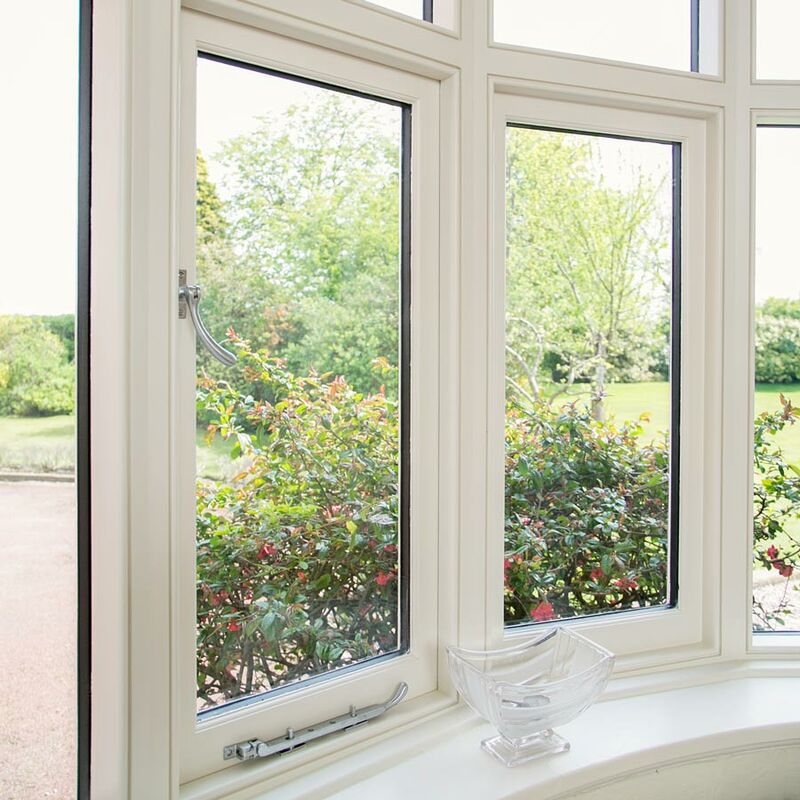 The windows included natural timber wooden windows, decorative bow timber windows, and doors. 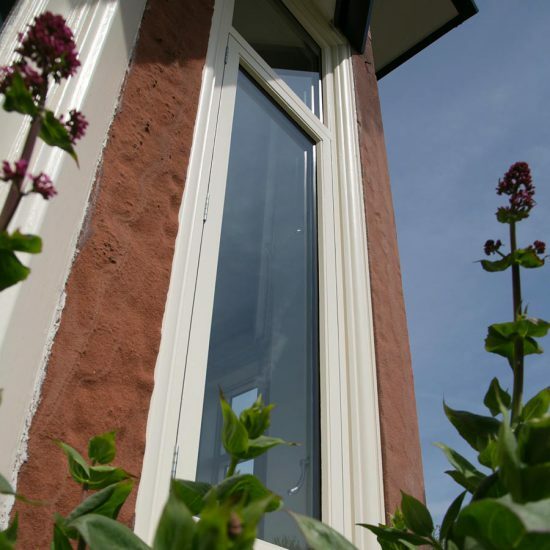 After extensive research, of the few original details that remained, we were able to design and install new replica hardwood flush fitting windows with a unique external elaborate moulded architrave, that framed the windows with the stone framework. More detailing was added internally along with a range of contemporary satin locking ironmongery. As you can see, the result is architecturally stunning, whilst being warm, secure, and adding real value to the property.